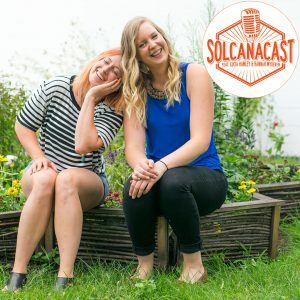 Welcome to another riveting week of Solcanacast, where we talk all things moods, mentalities, and boy, it feels like everything in between. Tune in and learn which foods Lucia recommends to help keep your brain happy and content, and why our blood sugar levels may have a bigger impact than you think on how you get through each day. Hannah describes what a big part of athleticism our mentality is, and offers some real cool tips to start to look at ways to support not only yourself, but your fellow team (gym!) mates. Got more questions, thoughts or feedback? Hey, good! Tweet us @solcanapodcast and let us know what’s up–who do you want us to interview next? What’s a subject you want us to pay some attention to? Lucia’s: How many servings of good mood foods do you eat each week? Is it balanced? Hannah’s: Identify which creature you are, what are top 3 things from Mental Skill List (see below) to work on.